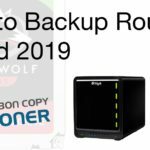 UPDATED: Jan 24th 2018 – After discussion with Aurora Aperture about the problem with this rear-mount system, I have included further information on their suggested workaround and have also slightly adjusted the conclusion and title of the post. The Aurora CR ND filters, made by Aurora Aperture, are designed to attach to the rear of some of Canon’s ultra wide lenses – most notably the Canon 11-24mm f/4 L. I own this lens and absolutely love it for landscape photography, but the bulbous front element really limits your ND filter choices if you want to use longer exposures to blur water or clouds. Several companies make front-mount filter systems for this lens, such as Wonderpana, but the filters themselves are absolutely gigantic. Screw-on filters need not apply! When Aurora Aperture announced a rear-mount system for the 11-24mm lens I was very excited about it. They sell the filter kit as a set of 4, and you 3-stop, 6-stop, 12-stop and 16-stop filters. The combined weight of all of these tiny filters is less than a single 77mm screw-in filter that I use on many of my other lenses. Whilst this kit can’t solve the problem of not having a polarizing filter it sounded, on paper, as if it was a perfect solution for everything else. Upon unboxing the filter kit, I screwed the tiny holder to my lens with the included screwdriver and I headed out to do some testing. Certainly at the time of writing this I couldn’t find any hands-on reviews of this product at all, so I wasn’t really sure what to expect. With my camera on a tripod I switched on live view so that I could focus as accurately as possible. To begin with I was using the 3-stop filter and I found that it still let enough light into the camera to focus using live view, with the filter in place. A few quick test shots revealed sharp enough looking images on the screen, and to be honest at this point I was more concerned about looking for colour cast. I moved onto the 6-stop filter next, and again I found there was enough light passing into the camera to use live view for focusing. No problems so far! I also tested the 16-stop filter and had the same problem, so that ruled out a single faulty filter. The theory that was forming in my head by this point was that the rear-mount filter was causing a shift in the focal point of the lens. With the 3-stop and 6-stop filters I hadn’t noticed it because I was focusing with live view through the filter, so that was compensating for the change. 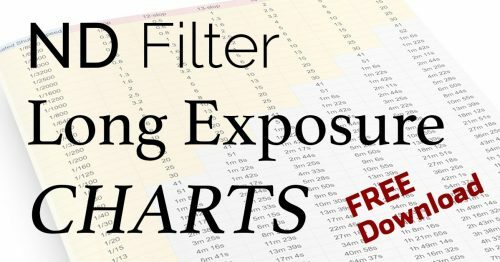 However, with the 12-stop and 16-stop filters you simply can’t focus with the filters on. I returned to my office and grabbed my spyderLENSCAL focus calibration device to test this theory. Firstly I used no filters, and focused in live view on the central part of the focus scale (Figure 1). Then I placed the 3-stop Aurora CR filter into the lens and took another shot, without adjusting the focus of the lens at all. As you can see from Figure 2, there was an enormous shift in focus as soon as the filter was placed in the lens. To confirm that I had not knocked the focus ring, I then removed the 3-stop filter and took another shot. The focus fell right back where it should do! NOTE: These images are compressed for web display so you can’t use them to judge sharpness of the filter. 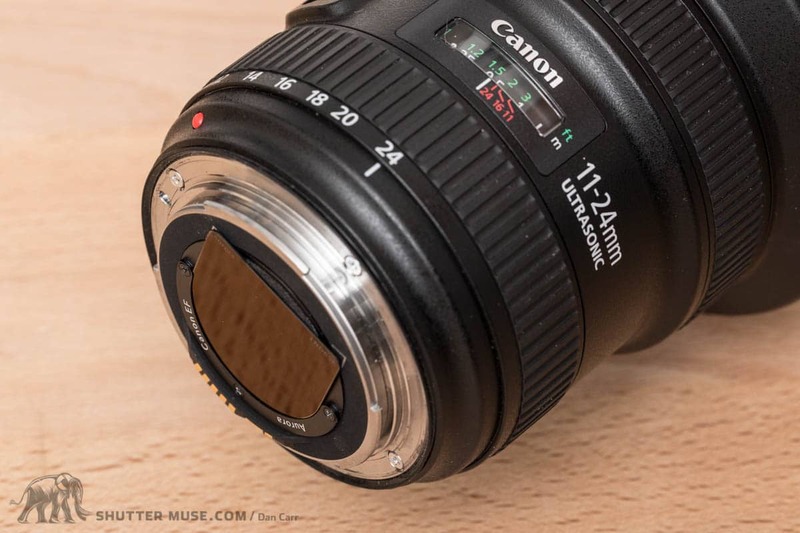 The images are simply to show to obvious shift in focus when a rear-mount filter is applied to the Canon 11-24mm f/4 L lens. Figure 2. 3-stop filter added, clearly causing focus to shift backwards. 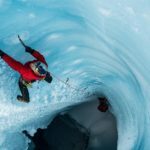 I emailed Aurora Aperture to ask them if this is something they were aware of, and why it might be happening. The response I got was “We don’t know for sure why it happens”. I guess it’s ok not to know why it happens, but that reply also means that they know that it does happen. If that’s the case, I definitely think they need to clearly explain this on their website so that people are properly informed. (EDIT: my current understanding is that something will be added to the site to clarify things). This suggestion came from Aurora Aperture during our email exchange – I have tested it and can confirm that it works. 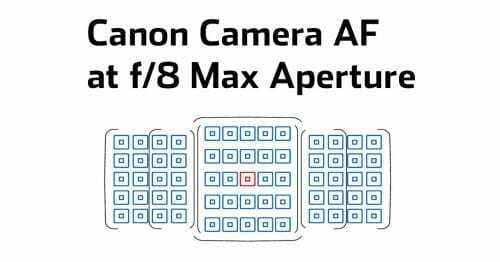 Since it is not possible to focus the camera with the 12-stop and 16-stop filters in the lens, you must first insert the 3-stop filter. With this filter in the lens, you can still focus using live view. 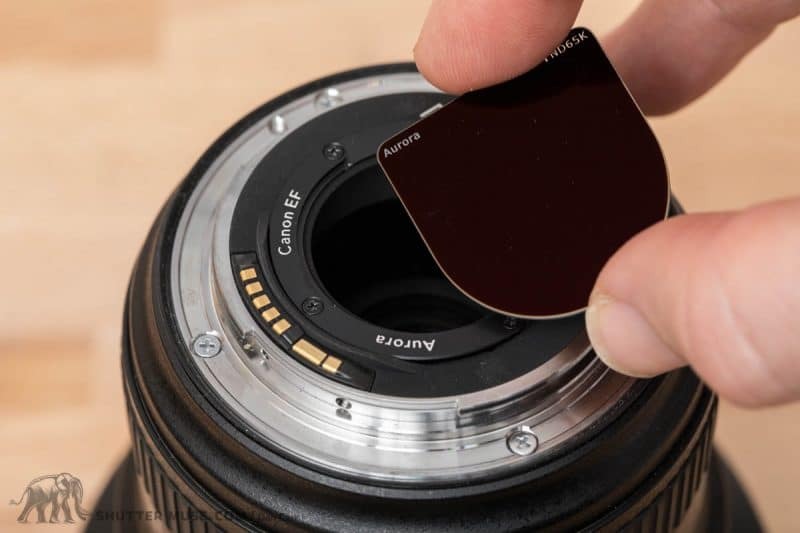 Then you need to carefully remove the lens and switch the 3-stop filter for either the 12-stop or the 16-stop filter. All of the filters are the same thickness, so all of them cause the same amount of focus shift. Since your initial focus was done through the 3-stop filter, you’ll get a sharp image with the 12-stop and 16-stop filters as well. So is this a plausible solution in the the field? It’s not perfect, but it’s a heck of a lot better than not having the option to use the 12-stop and 16-stop filters at all. These filters are fiddly to use, due to their small size and the need to slide them very carefully into a thin slot. Having to first add the 3-stop filter before switching it out for your desired filter is an extra step, but it does get you the result if you have the patience and dexterity to manipulate these things carefully. 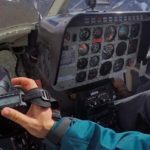 It’s one thing to do this in the comfort of your home, but be prepared for something entirely different when you’re out in the field. The lens and filter changing process leaves your camera on a tripod for a few seconds with no lens mounted to it, and that’s definitely less than ideal in some weather and environments. 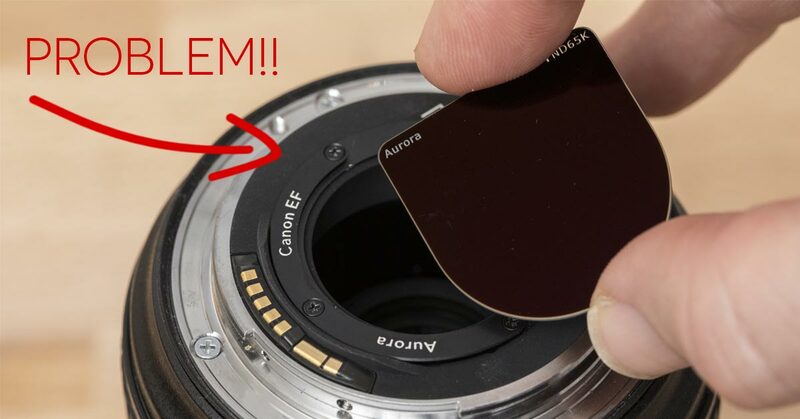 You can’t move the camera because you’ll have just focussed it through the 3-stop filter, and you have to remove the lens to carefully swap the filters so there’s no way around this. 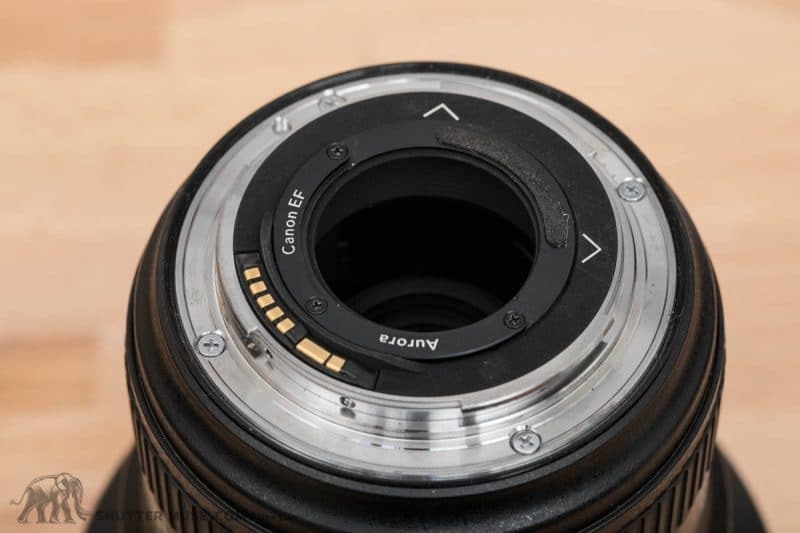 When you do remove the lens, you also have to make sure you don’t bump the focus ring, or move the tripod too much when you reattach the lens. Perhaps bring a cloth and some duct tape with you to fix the focus ring and cover the camera? Another thing you have to remember is that your exposure will have to be adjusted based on the difference in stops between the 3-stop filter and your chosen darker filter, because you’re initial metering will be done with the 3-stop in place. 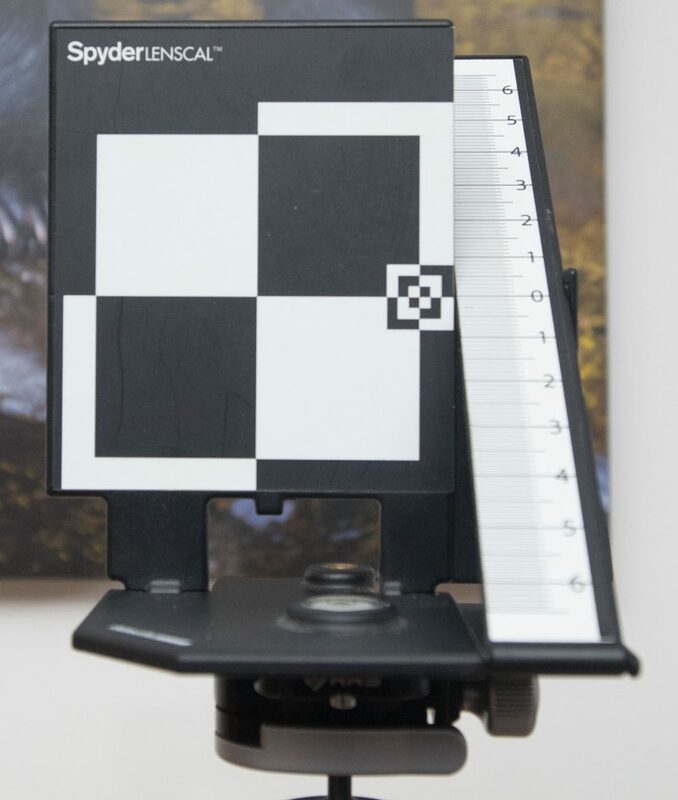 For example, if you’re going to use the 12-stop filter, you first focus and meter through the 3-stop filter, then adjust your exposure by 9 stops before taking the shot through the 12-stop filter. The 3-stop and a 6-stop filter will do an excellent job of blurring things like moving water in rivers and waterfalls. Whilst they are a fiddly to use, they are very sharp and also perform well in terms of colour neutrality. The focus shift issues that were discovered when it came to testing the denser filters really surprised me. Initially I was hugely disappointed by this because I really wanted to love this unique filter solution. I’m pleased that Aurora Aperture were able to suggest a workaround for this issue, and although it adds even more to the complexity of the setup process, it’s a viable option for those that really want to blur clouds and open bodies of water with incredibly long exposures. 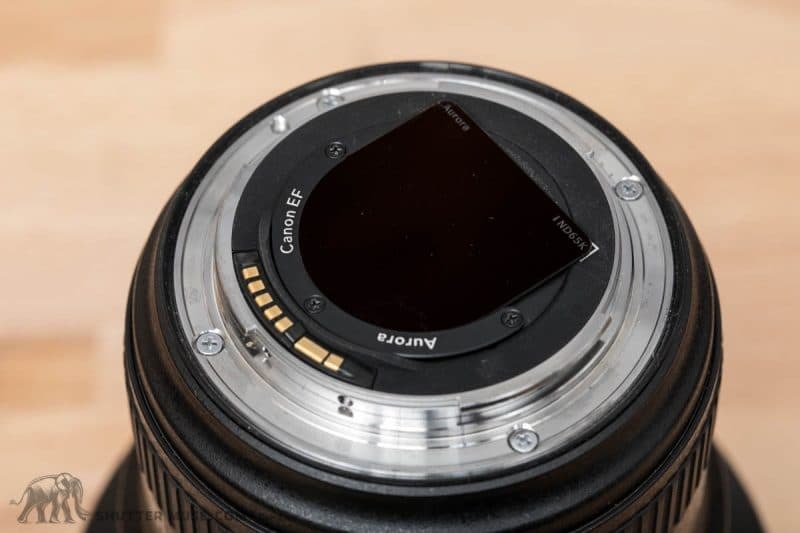 In fact, despite the fiddly setup procedure, it’s probably still preferable to carrying around a 12-stop filter that’s the size and weight of a dinner plate. Moving forward though, I think people will be more informed about the downsides to the rear-mount system and with that knowledge they can make their own decisions about whether they want to deal with filter swapping procedure that I’ve described. For my part, I still wish that they were selling a cheaper kit with just the 3-stop and the 6-stop filters in them. Generally speaking I don’t see a lot of people out there with the patience to do 5 to 10-minute long exposures with these darker densities anyway, and I can’t help thinking that the number will be further diminished with the fiddly nature of this setup procedure. Focus weirdness aside though, the filters are optically excellent and if you have the patience to work with them, I think you’ll be pleased with the results. 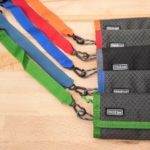 I have been curious about the Wratten filters. Perhaps I’ll try and get hold of some at some point. My main hesitation is that people always seem to say they are not that sharp, and I don’t know whether I want to soften up a $3000 lens! One of the reasons I love this lens is the fine detail it reproduces. Thanks for sharing your thoughts! The focus shift problem should have been known to AA, it is basic, easily noticeable and explainable, and it has been known for many years. Look eg. at a factory set of rear filters for Kiev/P6 30 mm fisheye lens Zodiak/Arsat. One of them is UV/neutral and if no color filter is used, this one should be attached to ensure same focus. I think AA should also add a 0-filter of same thickness to their set. 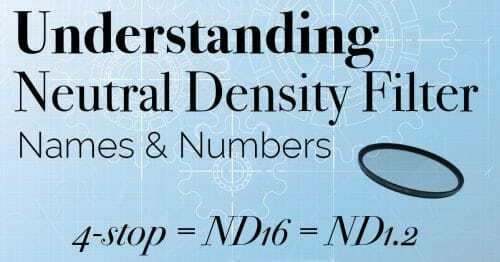 It would be easier to focus with it than with 3- or 6-stop, it could be permanently attached and removed only when ND is used, and you would not risk damaging 3- or 6-stop using it to focus only. Hey! Yes, I agree with your sentiments here. The fact is that AA did know about it, they just decided initially not to mention it in the literature about the product. I told them that I did not think this was right, and I believe they have added something about the phenomenon to their website now. They also did mention that they have manufactured some clear filters in the same thickness, in order to alleviate the issues for some clients who had already contacted them with this trouble. I agree that it would be nice if it was in the kit but at the moment I don’t know if that’s something that will happen. My advice for anyone reading this, and wishing they had such a filter, is to call/email them and ask them about it. They did offer to send me a clear one to try out, but I declined it because until it’s a product that is guaranteed available for public purchase, it seemed pointless for me to try it out. Just asking as I was thinking of purchasing these also …. do you think making a micro-adjustment profile would be possible? No, I believe the focus shift is far too great to be counteracted by a microadjustment. I would like to now if indeed wonderpana and lee systems do cause similar focus shift/softness….at one point I would say if filter thickness is not the issue, nor the added coloration (maybe? ), then it’s quite possible that could come from tripod/ rig vibrations. Hi Phillip. There would be no focus shift with Lee and Wonderpana because those filters go on the front of the lens. The problems I had were because the filter goes behind the rear element. 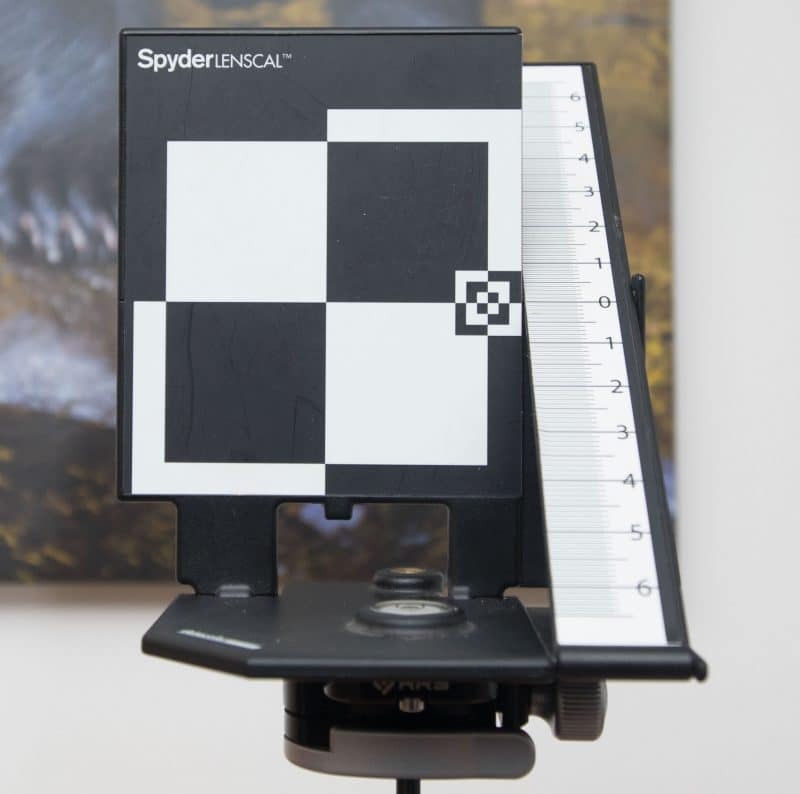 It was tested extensively, and since the fix that I mentioned does work, it proves that it was a shift in focus and not down to tripod shake or mirror slap. It’s possible to get perfectly sharp photos if with the Aurora filters if you follow my instructions on how to fix the issue. I love wide angle photography, and “cotton-water,- and clouds”. 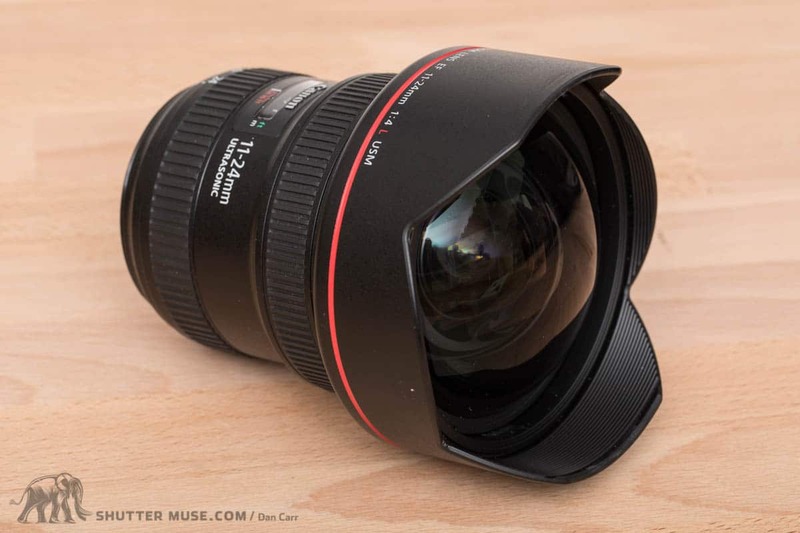 I ordered the 11-24mm today (for my Canon EOS 5DS R). This article was very useful to read. Thank you! I think their research,- and developing costs per sold kit are quite high since they have to budget to sell only 1000(?) kits the next 2-3 years. The production cost are probably very small, so the price for 3 & 6 stop kit would probably be only a few dollars less. If you, or others, have some full resolution samples, both with and without filter, I would love to see them. I’m not sure I fully understand why live view isn’t working out for focus. I regularly use it when I’m shooting with 16 stops of ND (front mounted). I crank ISO up all the way on my 5D3 and wide open, compose and focus manually, the re-adjust settings for my real shot.